The new Canada Food Guide was released on January 22, 2019, and before its publication there was a lot of speculation surrounding what foods would be eliminated and what foods that were previously highlighted would be minimized. In truth, the new Canada’s food guide encourages healthy food choices. They want Canadians to, "make it a habit of eating a variety of healthy food each day." What does this mean? It means eating plenty of fruits and vegetables, whole grain foods and protein foods – including protein that come from plants. It also means limiting highly processed foods (note: they do not say to avoid them altogether, but to eat them less often and in small amounts). The picture on the new Canada’s food guide shows a plate half-filled with vegetables and fruits, with the other half split between protein foods and whole grain foods. Gone are the graphics for milk, yogurts and meats. Instead, meat protein shares its space with protein from nuts, tofu and legumes. My favourite addition is to, “make water your drink of choice.” There is no substitute for the healthiness and necessity of water. We are mostly made from water, so it’s no wonder we should be focusing our beverage choices on water as opposed to sugary and artificially-flavoured drinks. The new Canada’s food guide also focuses on healthy eating habits. It encourages you to use food labels, and to limit foods high in sodium, sugars and saturated fats. In a fast-paced world, the new food guide encourages us to take our time to eat, plan what we eat and involve others in planning and preparing meals. This is especially important for families. As a registered dietician, and mother of three young children, Cathy Richards believes eating healthy as a family does not have to be time-consuming or difficult, and she’s happy to see that the new food guide recommendations support the scientific evidence on diet and health. Canada’s food guide website has many healthy recipes the entire family can enjoy preparing and eating together. The guide also has tips on how to eat healthy anywhere as well as outlines nutritional needs based on age and life stages. For more information on the new Canada’s food guide, visit their website. You can even download an educational poster and post it on your fridge as a reminder of what it means to eat healthy. For as many Saturdays as we can during the summer months, my family and I head to the Carp Farmer’s Market for fresh vegetables, meats and to walk around to take a look at all the artisans and treats. I love that more and more Farmer’s Markets are popping up throughout Ottawa and area, so thought I would create a list of some (click on the name to be redirected to the market website for more information. If you have a local farmers' market to add, please leave a comment and let us know. Located in the parking lot of the Almonte Public Library (beside the Beer Store), this market is open Saturdays from 8:30am to 12:30pm from May to October. Located at 43 Cecile Street, behind the Beechwood Fire Hall in Optimist Park, the Beechwood Market. They are proud to have a great selection from local producers, organic producers, bakers, crafters and more. This market is open Saturdays 9 am to 2pm until October 27, 2017. Located at Market Square (corner of Beckwith and Lake Avenue), this covered market is open Saturdays 8:30 am to 12:30 pm until fall. Located at the Carp Fairgrounds, about 10km from the Carp Road exit on the 417. Open Saturdays 8 am to 1 pm starting in May through to October. They also have an Easter Market, Christmas Market as well as their popular Garlic Festival in August. Located at the R.J. Kennedy Community Centre on 1115 Dunning Road (Cumberland Arena), between Orleans and Rockland. Open Saturdays 8am to 1pm from June and into the fall. This market also hosts the Spring Market in April, the Harvest Market in late September and the Christmas Market in December. Open every Saturday from May to October, the Kanata Farmers’ Market is located at 420 Hazeldean Road, in the parking lot in front of Shoppers Drug Mart. Open Saturdays 9am to 3pm from May to October. You will find baked goods, fruits and vegetables, honey and garlic – and much more at this west end market. Located at 200 Sanders Street at the B & H parking lot in Kemptville (just south of Ottawa). Sunday from 12 noon to 4pm from May to October. The Kemptville Market has a Christmas in July market on July 22nd that will feature gift ideas for Christmas – and Santa will even make a visit! Located at 670 Cedarview Road (between Hunt Club and Fallowfield roads). Open Saturdays from 9am to 2pm from May until October. This market has a wide variety of vendors including meats, fruits and vegetables and desserts! Located at the Metcalfe Fairgrounds, southeast of Ottawa. Open Saturdays 9am to 1pm from May to the fall. This market has 25 years experience of promoting and selling locally produced products. Known for “country flavour in the city” this market is located at 2397 Roger Stevens Drive, just west of North Gower. Look for the big red barn. Open Saturdays from 8:30am to 1pm from May to the beginning of October. Located in the heart of the village at 212 Old Chelsea Rd (the grounds at St. Stephen’s Church), this outdoor market features homemade, original, home grown produce and products, including certified organics. The Old Chelsea Market is open on Thursdays from 4pm to 8pm from the end of May to mid-October. This market is located in the Memorial Park at the corner of Broad and Main Street. It’s open every Sunday from the beginning of June to the end of September from 10am to 3pm and features a variety of locally produced produce as well as almonds and nuts, honey and homemade items, including Alpaca products. Located at 210 Main Street every Saturday from 9am to 3pm from June to October, this market connects local producers within 160 km with the community, including organic goods. There is also face painters, kid’s crafts and more! Open Thursdays from May to October from 12 to 6pm, this market is located at the Ray Friel Centre and features the best in local food! Located at Lansdowne Park in Aberdeen Square every Sunday from 10am to 3pm, the Ottawa Farmers’ Market features local farmers, artisans and artists as well as arts and crafts. The Ottawa Organic Farmers' Market runs year-round on Saturdays from 10am to 2pm and features Certified Organic meat, bread, vegetables, fruits, olive oil and much more! Located at 1644 Bank Street (near Heron). One of the newest farmers' markets in Ottawa, the Riverside South market operates June through October on Sundays from 10am to 2pm. This market is located at the OC Transpo Riverview Park and Ride – right near Summerhill Park! This cute little market is located in an old barn and is open Sundays 10am to 2pm at Village Square Park at the corner of Stittsville Main and Abbott. Vendors are cash only and include homemade bread, fruits, vegetables and more! The Westboro Farmers' Market is located in the Byron Linear Park between Golden, Bryon, and Richmond Avenues. The market runs from May to October – every Saturday from 9:30am to 3pm and hosts over 50 local farmers, producers, bakers, and more! Open Saturdays, 9am to 1pm from May to October, at the Centre Wakefield La Pêche, 38 Chemin de la Vallée de Wakefield this market has everything you need to fill your pantry. This market also features artwork and other unique vendors. We all want what’s best for our children—especially when it comes to their health and nutrition. So, why is keeping junk food out of the house so difficult? Where are children learning about the food they eat and the beverages they drink? 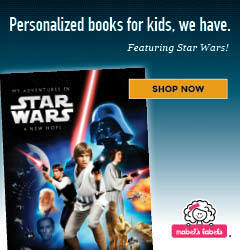 Did you know children are being marketed to on a daily basis? As parents, avoiding advertising and marketing for children and youth can be surprisingly difficult. Marketing is everywhere: television, video games, online, in movies, endorsed by characters and celebrities, and even on packages and labeling of products. By its very nature, marketing is designed to persuade people into purchasing a product or service. For influential young minds, this persuasion can lead to unhealthy food and beverage choices. Healthy food and beverage choices start in childhood, and unfortunately children learn a lot about both through marketing. Every time a child turns on the television they are exposed to a variety of marketing messages. Before the age of five, most children can’t tell the difference between an advertisement and a television show. Manufacturers and big brands recognize how easily influenced children and youth can be, and invest a lot of money to create marketing messages they feel will influence a child’s dietary decisions. If a child sees a marketing message for a particular beverage a child will, more than likely, ask their parents if they can have that particular beverage—healthy or not. Ottawa Public Health is working hard to help parents and their children learn the difference between healthy dietary choices and marketing ploys. Armed with the right knowledge and resources, parents and children will be able to make healthier and more informed dietary choices. What can parents do to help change the marketing trend? Parents need to do their research on products and read food labels. Just because something says it is 100% natural does not mean it is made with natural ingredients. Eat fresh foods as much as possible, and when shopping for packaged goods, look for products that have reduced salt or sugar and no trans fats. Parents can also help educate their children on what marketing means and help their children differentiate between learning something new and trying to be convinced to buy something. It can be hard to say to no to junk food, but teaching moderation and offering alternative, healthier options is a step in the right direction. With growing obesity rates in children, it has become the mission of public health organizations to create stricter policies and regulations concerning the marketing of food and beverages to children and youth. In Canada, the Federal government is constantly working to introduce restrictions on the marketing of unhealthy food and beverages to children and youth. These regulations include improving the information found on food labels. The province of Quebec has already banned commercial advertisements specifically directed at children under the age of 13. Since this change, Quebec is the highest consumer of fruits and vegetables and has the lowest obesity rates for children between the ages of six and eleven. To find out more information on how marketing influences the dietary choices of children and youth, and what steps are being taken to change these practices, visit Ottawa Public Health online. Disclaimer: This blog post is sponsored by the City of Ottawa (Ottawa Public Health). It’s so easy to reach for that sweet, inexpensive, white stuff when you’re mixing up a batch of chocolate chip cookies. White sugar is delicious! And no matter how healthy we become (some days… after many, many attempts), we will still prefer the taste of white sugar in our treats. As parents, we can either accept sugar defeat, or we can try using a few healthier alternatives at home to drastically cut down the amount of sugar our family is consuming. An obvious choice but hey, what other sweetener on the planet has enzymes, minerals, vitamins, amino acids and antioxidants galore, and is good for combating seasonal allergies and protecting your digestive system? I use honey in my kid’s treats a lot! Honey can be pricey to bake with, but it’s best not to heat raw honey to retain its incredible health benefits. Use it in ready to eat treats, such as drizzled on yoghurt, porridge, or toast with nut/seed butter, homemade lemonade and salad dressing. Another sweetener choice is maple syrup. It also contains plenty of antioxidants and minerals like zinc, manganese, potassium, and calcium. It can be quite affordable too if you stock up at one of Ottawa’s farmers markets in-season. Whereas honey is best eaten raw, maple syrup is awesome in any way including baked goods, homemade granola, glazes for roast vegetables or BBQ ribs. You can’t go wrong with adding fruit. Diced or pureed, fruit adds a lovely aroma to baking and produces incredible moisture. Not to mention it’s just about the healthiest way to go. What better way to use up that spotty brown banana and half-wrinkled apple that your kid forgot in his lunchbox over the weekend? Sweeten smoothies, muffins, pancakes, homemade popsicles…get creative! Before you say ‘I’m healthy, but not that healthy’, try coconut sugar in your coffee. It has a slight caramel flavour like brown sugar and no, it doesn’t taste like coconut. It’s another sweetener that is packed with awesome nutritional benefits and has a low glycemic index. Use it just like sugar in your coffee, tea, sweet bread, cookies or add a touch to your tomato sauce. Don’t pass this one by. Dates pack a HUGE nutritional punch and can save your baking without compromising taste. Psst, moms... they help you metabolize proteins, fats, and carbs. Really! Quickly soak and finely chop dates (or blitz with a few tablespoons of soaking liquid), and add them in the same ratio as sugar to sweeten your baked goods. They are wonderful in your favourite baked treats, added to oatmeal or yoghurt, and as snacks for your kids and babies! It’s hard to give up sugar, perhaps it’s unavoidable, but it’s not as hard as it seems to swap it out. Give these alternative sweeteners a try and you may find that one or all of them will work wonders in cutting down your consumption of sugar. Your kiddos likely won’t bat an eye at your sweetener swap and you’ll be one happy mama for it. Post written by Tatiana Westberg. I don't know how meal planning and dinnertime go at your house, but at my house... well, let me just put it this way - it's not my favourite time of day. Between picky kids, a lack of inspiration for meal planning and hectic weekdays, I resort to cereal or fish sticks and fries far more than I ever would have expected of myself (and like to admit). I tried the food delivery boxes, and while they were great because it saved me having to come up with the recipes and do the shopping (and I won't lie, throwing out all kinds of food I bought, meant to cook, and instead let go bad), it was still quite a lot of work in terms of prep each day. I recently got to try Supperworks during a special blogger event and fell a little bit in love, so I thought I'd share a few of my favourite things about the experience. Peeling and chopping isn't hard... but it takes a long time. I loved that as I went up to each station, the only thing I needed to do was take the amount of an ingredient and put it into the containers outlined on the simple instructions. The only dishes are the things you need to cook the food and to eat the food. There are no knives and cutting boards, and measuring cups and spoons and mixing bowls. I often feel like a tornado has hit my kitchen after I've spent a few hours cooking and by then I don't feel like CLEANING up the mess I made - I was just so productive in MAKING the food. Supperworks means I don't have to do the dishes after putting together my meals, and I wish I could give the store a big hug just for that! I think a lot - while I'm working, while I'm trying to make sure our family life stays on track and remember who is supposed to be at what activity when, and what forms I still need to send in to the school, and whether or not I RSVPed to those birthday party invitations. Having every step of this figured out for me so that I can just walk in and follow simple steps to achieve success - it's just such a nice break for my brain. A family sized meal is meant for 4-6 people, and it's quite generous. My kids are pretty good eaters (since last year they all doubled and tripled how much they eat!) so the meal size was great for everyone (with a little bit left over for one extra lunch). If your kids are not big eaters then for a small extra fee you can split all the meals into two, and the stations are set up so you can switch the recipes to instructions for making smaller doubles, and all the tools and containers are readily available for splitting things. These half sized portions now just doubled how many meals you get, and feed a family with no kids or little kids who don't eat very much. Supperworks is set up so that you can come in, on your own or with friends, and assemble your meals. I'm planning to gather a group of friends to do this soon in fact, because I think it can be a fun (and so easily justified to those of us who have a hard time taking time for ourselves) night out for friends. But, let's say you don't have the time, or you don't feel like gathering a group of friends and you don't really want to devote the hour or so it would probably take to make the 6-12 meals, you can just pay $25-40 (depending on how many meals you're making) and they'll assemble them for you. And I totally plan to do that if I'm not hanging out with my friends - worth every penny. Or, go in and see what they've pre-prepared and got waiting in the freezer right now. The food was delicious too - did I mention that? The Flat Irons MELTED in our mouths (my two meat eater kids were ready to battle it out with my husband and I on who got more of it), the coleslaw may be one of my new favourite things ever, and you can mix and match all kinds of extra sides from the freezer at front of the store. Healthy meals with good variety (including vegetarian options) that are easy for me to prepare was pretty much the most important thing for me to figure out better systems for in our life, because it was dragging me down like nobody's business. I can't wait to stock up our freezer with all kinds of healthy meals that are easy for me to prepare - and I think some of them are even easy enough for my ten year old to prepare too! Supperworks has a special promotion going on right now called Suppersavers (limited quantities so I wouldn't dally) for a $100 voucher for $50. They are store specific, so pick the best location for you (Kanata, Nepean or Orleans) and grab a voucher - there's no better way to try out Supperworks than with $50 off! If you have been to Supperworks before, leave a comment below and let us know what you thought, and what your favourite not to be missed meals are! Thanks again to Supperworks Ottawa for the opportunity to check out how everything works - I'll definitely be back! * Supperworks provided Kids in the Capital with 2 free meals and the experience of using their service. All thoughts are our own.